Alright. So you've developed a solid migration plan, run your pre-migration reports, and performed the actual migration itself using Sharegate. Now what? We already know that Sharegate simplifies the whole migration process, and cuts completion times for moving, copying, and migrating your content over to all SharePoint versions. What surprises me, though, is the sheer number of people that don't know how much more powerful Sharegate is than a migration tool. Sharegate is More Than Just Migration...Use it to its Fullest! Migration is just a small part of managing your SharePoint environment, and Sharegate is equipped to provide you with comprehensive post SharePoint migration support. In the webinar below, I go through all the ways Sharegate can help you manage your SharePoint AFTER the migration has taken place. We'll go over things like reporting, making an inventory of your environment, content management, keeping an eye on what users are doing within your sites, security and permissions auditing, monitoring external users, optimizing performance, and much more. We'll also look at how to use SharePoint to view your Sharegate Reports, without having your users open the tool. Good morning, good afternoon! How's everybody doing? My name is Benjamin Niaulin. I work here at Sharegate, and I welcome, welcome you all. I hope you're having a good lunch. If you're here on the east coast, I hope you're having a great afternoon or evening. Actually, I hope you're having a great day wherever you are. Today we're going to be looking at Sharegate, obviously. But we are gonna be looking at how to use it in very different ways. In fact, I think we're gonna see some pretty cool things. How to do some very interesting and dynamic dashboards, leveraging some other Microsoft free tools as well to see how you can put your Sharegate reports even within SharePoint, and allow other people in your SharePoint team site to interact with the reports that you create using Sharegate. So I am pretty excited. Once again, quickly, this is me. I have to show my little face here. Everybody always makes fun, but it is me. My name is Benjamin Niaulin, once again. I work here at Sharegate. Sharegate is 100% in house here in Montreal, Quebec, Canada. So if you do want to practice your French at some point, *speaks french. All right. I'll stop, I'll stop. But if you do want to practice your French, don't hesitate to contact us. With me, I have many friends and colleagues that are logged in at the moment. Some are superstars, like Jamie, Shane, and many others that will help and answer any questions that you have. So if you have any questions during your presentation, don't hesitate to click on the Q&A at the top, or wherever it's hiding on the menu. You should see a Q&A box. There you can ask your questions, and I'm gonna have my awesome friends and colleagues to help and answer that. I'll try to leave some time at the end as well, but generally speaking, don't wait necessarily for me to look at them and go ahead and ask all of the questions you desire. The one thing that you should know, while we're talking about Sharegate, yes, everything is in Montreal. So there is a very big advantage to it, right? When you call for support, now, you may have already called for support and talked to Jimmy, Shane, Sarah, and the many, many others in the support team that, frankly, I'm super proud of. They are awesome. But there is a big advantage. Everybody's in the same office. Everybody is on the same floor. So what happens is, when you call, they can turn around and go ask developers, and loop them in and try to solve something for it. So definitely don't hesitate. The support is unlimited with Sharegate. Using our tool... Is unlimited, with as many environments... I'm gonna show you how I'm gonna take care and manage my SharePoint On-Premises and my Office 365 at the same time, and you can be having multiple Office 365 environments. You can be having multiple On-Premises environments as well. You can copy or move things within your environment as much as you want. There's no limit. The way Sharegate is licensed is an affordable way, and it's per seat, basically per people using Sharegate on the computer. So I hope everybody is having a great time, yeah? I mean, usually there are many, many, many situations, and I'll talk about, how did you guys see the new future of SharePoint, the new team sites along along, the integrations between Office 365 groups and SharePoint going together, and many things changing with the dot net library becoming even easier to use, right? Science becoming simpler to use as well. So what happens is, a lot of the times SharePoint starts out very easy. In many cases I've seen SharePoint even come to organizations without It's approval, in many sense. It came from the business that wanted to try some things. I want to slide. I want to click, click, click. I saw somebody on the CallForce talk to me about it. I want to implement SharePoint. We have licenses for free. Let's try and see if we can replace our file shares, let's talk intranets. I think nine out of ten best intranets by Nielson Norman group have been using SharePoint. So it's a very popular platform to build those intranets, to build those team sites, to replace those file shares, and some of you even go as far as creating publishing sites. For example, for Internet based websites, right? So we've seen quite a bit. I mean, there's one I'm always super proud to show. I'm gonna go ahead to... This is not planned. I'm supposed to be doing this right now. This does not follow the criteria of my webinar, but I am so proud of our new nunavikparks.ca. This is a website, 100% SharePoint 2013 that we built for one of our customers. SharePoint can be beautiful. I'm not saying this was easy. I know the slide said SharePoint is easy. This is all driven using the SharePoint search. What I mean by that is that many people have built many things using SharePoint, right? I'm sorry, I have to show this one. I am super proud of what our team has done, so definitely wanted to do that as well. So let's continue here. Let me press play. Where's that play button? There we go. So SharePoint often starts out easy. We create a couple of sites. The pilot goes super well, we move on, and then, oh, wait a second, it gets a little complicated. Right? Then you start realizing, oh, what is this site columns content? What is this managed meta data? What is this term store, right? What are these content types. Then it gets even more complicated, right? Then you start seeing all these things. People are creating sites left and right. Once I went on vacation. I remember. It was a couple of years back, but I went on vacation for a week, I think it was. Yeah. I think it was for a whole week. Came back. Somebody had created something like 170 sub sites on their site. I said, "What's going on? Why did you create so many sub sites?" The user said, "Well, I wanted a new page to put my web parts on." Okay. Well, why didn't you create pages? Often what happens is people just don't understand, or don't know SharePoint very well. They start creating things all over the place, and that's why it's important, and why we often mention it, right? With all these things getting created all over the place, you're bound to run into certain issues. One that we often talk about, something that we keep bringing back up.. I put it at the top, is the governance and the information architecture. If you want to have tons of guidance on our blogs, we will try to add the links as well in the slides, but, basically, every time you start a SharePoint project, people are often mentioning, "Listen, we need a governance plan." Let's be clear. A governance plan is not a 500 PDF document, right? Do not do that. I'm telling you right now it's going to fail. Nobody is gonna read it. I won't read it. In fact, you probably won't ever read your own document, because it's a 500 PDF document. Nobody wants that, right? Governance is a set of rules and mostly guidelines. It's a way to guide your users to using your environment properly, right? But you still have to go and check, right? If you're saying, as part of your governance, size should not be bigger than 200 gigs, for example, then you have to have a way of monitoring this. If any of your information architecture, you say that documents that are using the content type invoice have to be in specific sites, because they have a certain level of security. If you say that external users cannot be added in these site collections because there's a security risk, because that's the legal document cycle action, because that's the finance document cycle action, and frankly, I'm not gonna lie. I'm not gonna say we're perfect. We have a huge breech of security right here at Sharegate. Right? At some point somebody went into a team site, shared one document with two external people, two external users in our Office 365 SharePoint, but then somebody else in that same site decided to add the group called Everyone into the Members group of our Sharegate team site. This means that these two external users that had one document shared to them automatically became part of the Everyone membership, and thus had full collaboration rights on the entire site collection. That was pretty scary. They were, like, "Well, how do we check? How do we find out what they had access to?" The auditing in SharePoint doesn't tell you until you activate it. So you can't wait until the problem has happened. You have to have enabled auditing beforehand. So to this day, right, we have no idea. That's why we have... We called Sharegate Management Features, and I'm gonna show you how to use all of the features to try and solve these problems, to try and enforce your governance plan, to build reports that people can interact with without having to use SharePoint, necessarily. Right? So what I'm gonna show you is really, I can build a report and take these reports with Sharegate, and then I can place them in my SharePoint team site for IT or for site collection administrations, or for power users, so they can go there, interact with the data and see what's going on with their own site without necessarily having a need for Sharegate installed on their computer, right? We're gonna look at auditing as well. Who accessed what? The SharePoint auditing is very difficult to understand. So we look at that. I mean, there's tons of potential issues. Are your listed libraries approaching the 5000 view threshold? The 5000 view threshold is not the limit. it's a view threshold, but SharePoint does limit to it in a way, because then you can't see your documents or your items anymore. So you should have a way to see if a list or library is approaching that number, because there are ways to mitigate that issue, such as indexing columns, or enabling metadata and navigation and filtering. But you still need to know where you'll need to activate, right? Then, of course, it's getting more complicated and more complicated, especially for those of you on Office 365. Now you've gotta deal with your active director groups for security. Then you've got your SharePoint security groups, right? I meant to say SharePoint when I said security groups at the bottom. Then you have your regular users, but now you also have your external users. You have anonymous desk links, and even better now, you have Office 365 groups. So there's tons of ways of giving permissions and granting access to things in your SharePoint. But what's going on? Who has access to what? That's another big issue that we have. How's everybody doing? You guys bothering our friends in the Q&A yet? I hope so. If there's anything that needs my attention, they will go in our panelist chat and let me know. So I'll definitely stay tuned for that. All right. So we're gonna be looking at how to solve a lot of these things. OF course you got through the migration, right? Migrating from On-Premises Sharepoint, Google Drive, file shares, and going to wherever your SharePoint is, right? This presentation has not... By the way, it's gonna be a lot of demos.I hope you're ready for it. But this presentation is not about migration. I'm sure you got it. In fact, you probably got some help, right? You use Sharegate, very likely. You want to see how you can make the most out of Sharegate. In fact, Sharegate allows you to do the migration, but is there anything else the tool can do for you? Let's think about Sharegate for two seconds before we dive in, right? Sharegate is a desktop tool. So you put it on your desktop, and then you can do, yes, you've done your migration with it, possibly. That means you're able to move things from the source to the destination, the source being an old version of SharePoint or a file share, or Google Drive, and bringing that into the destination, wherever that may be. OneDrive for business, SharePoint online with Office 365, group files in Office 365, or just SharePoint On-Premises, whatever version you decide to use. Now, if you decided that you were migrating, one of the major factors... Yes, there's unlimited support. But the other major point of Sharegate is, of course, that you can use it with as many environments as you want, and as many copy or gigabytes as you want. There's no limit. You don't pay more. But often what I see is, people use it for migration, they are done, and then they just let Sharegate gather dust sometimes. But there's so much you can do, and hopefully you will get very excited. So the first thing we're gonna look at in our demonstrations and what we can do is, of course, reports. What can we do to get information out? The reason we want to build these reports is to be able to stay in control over what we have. Why do we want to stay in control over what we have? Because SharePoint can be chaotic, right? It can be chaos in your environment. I'm sure some of you that have experience already know what I'm talking about. You've got all these cycle actions, all these sites, lists, libraries, content types. People are using different terms in the term store. Are the master pages the right master pages being used? There are tons of these things that you need to keep an eye on, but you have no real way of doing so, right? Then Office 365, for those of you online, do have some reports. But, I mean, you've seen the reports. You know what I'm talking about. So let's see what we can do. The first thing... Look, that's my one and only animation. Look at that. All right. So inventory, inventory and inventory. Whether you finished a migration or in charge of managing your SharePoint, or before, you definitely want to be looking at what it is that you have before you start managing anything, before you start taking action and adding or removing permissions, before you start checking who has access to what, before you delete things that are old, before you warn people that have list libraries over 5000 items. You need to know that they exist. So, in fact, for those of you that are here live, we are announcing that next week there is gonna be a new inventory tool. Check out for that. It's going to be able to analyze your file share for migration and give you a heads up in terms of how much time the migration could take, and also give you a list of possible errors and warnings that you can look at and work with before you start doing the migration. But here with inventory, I mean, a lot more. In terms of after the migration, as well, to see, what is it that you have? Let's open up Sharegate. I mean, I'm tired of the, oh, a beautiful SharePoint site. Where did you come from? All right. Now I'm gonna open up Sharegate. It's on my desktop. I'm gonna minimize that, open up my Sharegate over here, and I've already connected my environments. But I'm still gonna go through that very quickly. You have the explorer, the reporting and the migration. We'll go over those in detail a little bit later. First I make sure that I went into settings, and what I want is to have highest performance possible with Sharegate, right? We also have, when we do our preordering, whenever you're going to be using the reports section, it's going to build a cache locally so that the reports can be generated a lot faster if you ask for the same information multiple times within the same day. OF course, whenever you run a report, you can actually specify that you don't want to use the cache whenever you do it, right? It doesn't mean that you have to use the cache, but it means that you can say the number of days and keep the information cached so that it doesn't query your actual SharePoint servers every single time. So I'm gonna go back into the reporting here, and what I want to do is do an inventory. But let's understand what's going on in front of us here. We have two out-of-the-box advanced reports, we call them. We have the permissions matrix and audit. We'll get back to those in a few moments. What we do have is actionable reports. These are built in reports that we've created to find documents, sites, list of libraries, site collections, users and list items. Of course, we have a lot more that you can build manually, if you'd like. Right? Every time you click on a star, this adds either this report that either you've created or that is built in, or that you've customized, and adds it to your My Factories section, right? At the moment I do not have any favorites. So what I'm gonna do is, I want to do an inventory. The first thing I want to know is my inventory of my site collections. So what I'm gonna do is I'm gonna look at site collection, and this is a report called Site Collection With Basic Details. Now, what I can do is I can select it, and then click on where I want this to run, or I can click on Edit. So what you have is Edit Report, and you can actually edit it before it gets run. What you have here is, it specified which site, what object, you're looking for. So you're looking for site collections, right? That's the name of the title of the report, so of course that's what it's looking for. But you can look for anything .We'll look at those in a bit. Then you can add some filters. In this case, I want to have an inventory of all my site selections with basic details. Therefore, I don't want to have any filters in this case. I want an unfiltered view of all my site collections. Then what I want to know about them, and I've already modified this report a little bit... I want to know the title and the site address. But I also want to know the size. I want to know the last modified. I want to know the total number of sub sites that exist beneath it. The total amount. We also have an ability to just see the sub sites that are a child of this site collection. That means the immediate sub sites, but not necessarily counting the sub sites below this sub sites, right? Who are in the site owners group? Who are the site collection administrators of this site collection? What are custom master page? Of course, if you want more information, you can add as many of these fields on the page. Language, audit, events, custom permissions, is SharePoint designer enabled or disabled. You could do whatever you desire, or you could display whatever you desire, and we have it. We are continuously adding some more. So what I'm gonna do is I'm just gonna click on Next, and then it's gonna ask me, in which environment do I want to run that inventory report, that site collections with basic details? Of course, I already connected my Office 365 environment, as well as my On-Premises environment. You can explore them quickly to see that it's going to include one drive per business, some site collections that exist, as well as my On-Premises, and some site collections that exist. So what I'm gonna do is, I'm just gonna select everything, right? I'm gonna select this and this, the On-Premises environment and my Office 365 environment, because it is something that I want to manage. It's something. I have a hybrid environment for example. You can have multiple On-Premises environment. You can just select the ones that you want, if you want. You could just say, "You know what? I don't want the central administration and I don't want the my site collection. That's completely up to you." I am, however, going to take everything. When I'm ready, I can click on Run. So this is the option that I was mentioning that allows you to use or not use the local cache. I'm gonna click on Run, and at the speed of light... Of course, because I prepared for this presentation, therefore it was cached earlier. You have to prepare for your presentations. So I have a report that gives me the details of 60 site collections that exist between my On-Premises environment and my Office 365 SharePoint environment. Great. Already, this is a lot of valuable information. But I can do more with this. I can go ahead and select everything, and what I'm gonna do is, I'm gonna export that into Excel. I'm gonna call it Site Collections With Basic Details. I'm gonna save it, and if I want, we can go check it out. Let's click on Open File. I'm gonna see that all of that information has been stored in an Excel file. Wonderful, right? Now I can leverage Excel to do charts and graphs and reports and filters and columns and filters, but today I'm gonna take it a step further. Everyone has access to a free tool called Power BI. Power BI is a free tool by Microsoft. It's not necessarily part of Office 365. You can have it independently, and it allows you to create the reports. Yes, the reports are gonna be created in the Cloud, but you can then show them, in your On-Premises Sharepoint, as a report that is embedded on a SharePoint page, for example. It's also very, very easy to use. It provides some really interesting data. There's an iOS app. There's a mobile phone app for them. So your mangers are gonna be really happy with having this kind of information. So let's see what we can do with it. I'm gonna go ahead and open this up, and I'm gonna open Power BI desktop. Again, free tool. There is a Power BI Pro for certain things. For example, if you want to refresh the data automatically, at a more frequent timing, at a higher frequency than the one that's enabled by default, or if you want to work with Office 365 groups, for example, these are the kinds of things you're going to need Power BI Pro for, which, I forget exactly what the pricing model is. A couple of dollars per user per month. But otherwise, the free version should already get you very far in what you want to do with Sharegate. So what I'm gonna do is, I just opened up my Power BI application. I'm gonna click on Get Data. I want to go and get the information that I just exported into my Excel. Now, imagine this. You can store your Excel file in a SharePoint document library as well, and therefore you can go and pick it up and refresh it as frequently as you want. So if you schedule, or if you want to run your Sharegate reports on a monthly basis, on a quarterly basis or on a daily basis, and then upload them into the SharePoint folder, right, this Power BI dashboard is going to automatically refresh and report the data to report it to your users. Let's see what we can do with this. I'm gonna open up Excel, and I'm gonna say, "Go and get my site collections with basic details." I'm gonna click on Open, right? Then it's gonna ask me which Excel spreadsheet inside of your Excel do you want to use. I have one called data. But before I'm going to load it, I see there are some issues. There's a column for size, and it has the word MB for megabyte, but it's not gonna detect that it's a number. I can see that the data is in some weird format. So I'm gonna edit the query. This is important. Power BI creates a query to that Excel. It does not import the Excel into Power BI. That's where the magic happens. You can actually refresh or schedule the refresh of that query. So, quickly, I see that some sites do not have a title. Usually that's the search center, the my sites, the central admin. So what I'm gonna do is, I'm gonna remove those and click on Okay. As you can see, the filter grows applied to the query that I built. Then I'm gonna select the size column, and I'm gonna replace the values. I'm going to remove the space megabyte and replace it with nothing. So that's going to give me the size, but it's still text. So I have to say that I want this column to become a decimal number so that it understands that it's a number here. I'm gonna do the same thing with the last modified data. I'm gonna say, "I want this to be the date," right? If I have other columns that I want to use that may have an information number of sub sites is already a number, all right. I think I'm gonna. I'm gonna click on Close and Apply. Check out what we're going to be able to do, and how easy it is, by using what we've exported using Sharegate and the query that we're able to do with Sharegate. So what I can do quickly is I can say, I want these little cards, multi role card, which is, these are the visualizations of how you want to see the data, and this is the spreadsheet and all of the columns that you have. So what I can do is, I'm going to take the card info, and I'm gonna say, I want the title of the sites to be there. So I'm gonna add that into fields over here, and what's gonna happen is it's gonna show the site titles over here in a way that's very nice. I can of course change the colors. There's a little paintbrush over here that allows you to change some of the information on whatever it is you selected. So if I click on the paintbrush, I can go ahead and change how the cards look. If I want to show the bar or not on the left hand side, what color is it... If there's a border. There's tons of little quick and easy actions that you can run with that. The next thing I want to do is I want to add a pie chart, right? So I'm gonna take the pie chart. I'm gonna put it right over here. It's very important for me to see it. What I want to do is here is I want to take the pie chart, and in the details, once again, I'm gonna tae the title column, and for the value, I'm gonna take the size of it and put it right over here. So now, quickly, using the export to Excel from Sharegate, right... Sharegate does all the heavy lifting. It's able to go and get the data that you want using the filters that you want. Now I'm able to provide dynamic and rich reports using a free tool that works with the Microsoft suite here that allows us to create these dashboards, and really to build dynamic... So check out what we do now. You can interact with them. See, if I wanted to know, and first I have the size, I want to know the Contoso Team Site, I have the name, right? Everything filters together, and the more I'm gonna add on this page, the more I'm gonna have. Now, you can always change the chart as well if you want to have a little bit more. You can say, you know what? I don't want the title to be displayed at the top. For example, the detail labels, I want the category, but I also want the value. So it's gonna tell me the size and megabyte for each of those sites, if I desire. Now, of course, you can change your labels at work with that a little bit. You can continue a little bit further. You can add just a number on the page, if you'd like. So I'm gonna add, in this number field, just the total size. So I'm gonna put that over here. I'm gonna adjust that. There we go. Right? What els would I like to know? I would like to know the number of sub sites. I'm gonna add another one, right? Right here I'm gonna add the number of sub sites. It's a number. I'm gonna take that, once again, and put that under the other one. Now, I could take my time in making all of this beautiful, and the right colors and the sherbet orange. But we only have an hour, and I still have a lot to show you. Of course, I can continue on and on and on. I can go and get a text field or the cards again. I can do... Whoops. I get the cards again, and this time I can add the last modified dates as a field here. Right? So I'll see all of the dates, but I'm just going to keep it this way, for example. What I'm gonna do instead is I'm gonna start working with everything I see here. So what about this Contoso Team Site? On this Contoso Team Site... Has all of that information. I have everything being filtered, right? Everything has been modified on the same time, because I just ran a fun report here. Well, it'll make more sense when I connect some other things. So here I have everything connected, and that behaves together. I can change that. I can go ahead and put that as a table. We should see... Oh, I just put the date. Yeah. That's right. Right? So I'm gonna see here. I'm gonna have all of the modified dates for everything that we see. So that's exactly what I wanted, right? Aside from the last modified dates, as always. So I'm really able to provide this dashboard. Now think about this. when you're done with some of these reports, you can actually publish them to your Power BI. Now, Power BI offers a way to take this report and then publish it or embed it in one of your SharePoint pages. So you can create SharePoint team site of Sharegate reports or administration reports, or SharePoint management. Every report that you create, like this, with, for example, a query that refreshes every day or every month, right, you will be able to see that and have people come to your SharePoint page not necessarily needing access to any of these Sharegate applications. But they will be able to access the report and work with it, and provide valuable information back to your site collection administrations, back to your managers and anything else you'd like, right? All right. Let's get back to the reports that we can create. What else do we have in our inventory? In our inventory there's also sites with basic details, right? So let's take a look at that. I'm gonna edit that report, and I can see that I have the results that I'm gonna go get. No filters, once again. I'm gonna go and find... When I do find all of these sites with no filters, I am gonna find the title. I am gonna have the site address, the size of that specific site, the last modified date, and the site owners that belong in the site owners group. But I know that the site address is actually the site address of that site. If I want to link it to the... Or report that I just did, I'm gonna have to make sure that we have also the site collection address. I need a property or a field that I can link with, right? So this is what I'm gonna say. If there's anything else that we want to add, we can go ahead and add it. It's really not an issue here. It's the same properties as before. When we're done, we can go ahead and click on Next again. We're gonna run it on both four environments and click on Run, okay. We're gonna get that report, but this time we're seeing all the sites, and not just the site collections. But we do have, in which site collection does that site belong to? Once again, I can click Select All, export these into Excel, Lists with basic details. I'm not gonna open the file window. That’s what it looks like, go back to my report, and this time I'm gonna edit my queries, right? I want to show you because I want to show you how easy it is to work with all of this. What I want is, on top of the data, which I could rename, but on top of that query we did originally, I also want to include a new source, which is another Excel document, which, in this case, will be sites with basic details. Generally speaking, I would have found... In another, I forget where I was going with this. But sites with basic details. There we go. If anything goes wrong today, it's because I'm French. So I'm gonna take that Excel spreadsheet over here. This is all my sites with the right information, once again. So I'm gonna click on Okay. I'm gonna make sure that, once again, the size is replaced. So we're gonna remove the space MB, and we're going to replace that with nothing. We're going to change that field into a decimal number. We're gonna make sure that the last modified date is a date column. So we're gonna do what we need to do here, and when we're done, and we can remove the blanks, same thing as before, and click on Okay... When we're ready, we can click on Close and Apply, and what happened is, you don't even have to do anything. Automatically it detected the relationships. But it's not necessarily the right one. Let's look at the relationship here on my left hand navigation. I can see that I have the data, the first query, the site collections with basic details, that's connected with the sites with basic details here. But if I look at the linking, it's site address with site address. That's actually wrong. What I really want to link is the site address of my site collections with the site collection address of my sites. So what I need to do is, either I delete and recreate it... You can easily manually link them, or you click on Manage Relationships, right... You're going to edit the existing relationship, and you simply select the cycle action address of that second data site, right, and click on Okay. Automatically, everything is done with magic. You don't have to do everything else. It got everything linked. You go back into your report. So now I can take it a little bit step further and grab information from my sites information. So I can take... I want all of the sites for whatever I select. So I'm gonna drag that over here. Its automatically gonna put that in a table format, which, once again, I can put into cards. It's really completely up to you, and then I can put the size as the value. So what I'm gonna do here is, I'm gonna leave it as at able. I'm gonna add the size into a separate field her, and you see it automatically creates totals for me. So I can go in and I can add the last modify date as well that's showing up, for some reason, into this format. I'd have to modify in the query, or put date and time, which, you know what?I can still change. I'm gonna edit my query real quick. I'm gonna specify that this is date and time, and that should help a little bit. We're going to go into the second one. We're going to say that it's a date and time. There we go. We're gonna close and apply, and we should already... Everything gets updated automatically. So imagine refreshing your Sharegate reports automatically there. All right. I have to go and change the layouts of this. The last few, last modify date today... All right. So now I have all of this information. So this comes from a separate Sharegate report, right? Completely separate at the moment. Here... Let's see. Whenever I click... So this site collection is taking 42% of the entire space that I have in Office 365 that's being used at the moment, and if I select it, I have the title, I have the size, I have the number of sub sites and I have the list of sites that exist that I can scroll down, and the total size that some of them can represent, right? I have all of these over here that really provide detailed information on what it is that I have here, right? So very, very interesting to see that information here. Then you can continue on with more and more reports. Remember, inventory is as important as everything. You have tons of things. Available list or libraries with workflows. Go ahead and tailor that to whatever it is you need. Sites with more than three levels, and you can link that to your existing report at all times. You can go as far as finding all the documents that have anonymous guest links disabled and add those as well, right? So I can take documents with anonymous guest links. Plus, I am going to edit the report. Why? Because I want to make sure that I have a site collection address to link everything back with, right? So I'm gonna select that, or I can select just the site address if I want to link it the site that I am going to select. So that's completely up to you, but I am going to take the site collection address over here, and I am gonna click on Next. Of course, that's going to take a little bit longer. It's going to run through every single document. Lucky for Sharegate is, when you click Run, you can leave it running at the bottom and you can go back into your reporting tab and continue building on your inventory reports. Now, continue with documents that are larger than, documents that are not Office... What I am gonna do is search for those I love doing that. I'm gonna put it in my favorites, because I always forget to. I want to find all the documents that have a checkout status to check out, and when you find them, tell me who they are checked out too, right? That makes total sense. What I'm gonna do is I'm gonna save this report. So I'm gonna click on Save. It's gonna ask me what I want to call it, and I'm gonna call it Check Out Documents, right? We'll talk about check out documents. But what if people leave the organization and forgot to checkout files, and you don't know about it?Since there has never been a checked in version before hand, you'll never know those files exist, and they are lost in the organization. What if somebody goes on vacation for two weeks? Maybe you should have a report for everyone that leaves on vacation to check if they have any checked out files anywhere in the entire environment that you have connected. So I'm gonna click on Save It next. I'm gonna run this on my Office 365 again, and then same thing. It's gonna take some time, or I can say, you know what? I'm only gonna run this on a couple of site collections. I'm gonna go on the Admin portal. I'm gonna go on the team site home, the legal discovery site, and I'm gonna run a checked out report on these site collections there. So while this is running, I'll go back to my presentation. But what I'm gonna be able to do is, I'm gonna be able to export those reports and go back. Now, yes, I'm showing you using another free tool called Power BI. But maybe you don't want to use Power BI whatsoever. Power BI just shows you how easy it is to create these dynamic reports. It comes with a mobile app. But it doesn't mean that you can't create these charts using Excel. It's just a lot less time to create them with Power BI. But everything I'm showing you, you can actually create these charts and these graphs and these reports using Excel, and pulling all of those data from the exported Excel files, and putting them into one giant query with Power BI, for example. Right? All of this is also available with Excel. Just maybe a little less as nice and interactive that we have here with Power BI, and I just like it. Frankly, it's easy to use. So while this is running, it's already finding some documents that are checked out, and some documents with anonymous desk links. Let's go back to our presentation here, and we've done beyond the inventory. I have to accelerate. It's already 12:40. Wow. There's tons of other things that you need to check, right? Sites with sub sites with sub sites that have sub sites. The rule is you don't want more than three sub sites. That's just the rule. It's the rule for navigation. It shouldn't take more than three clicks to get somewhere. It's the same rule with sub sites. The more sub sites you create, the harder it is to manage them. They all inherit a lot of the properties and settings from their parent site. So if you create a group in the largest site, the parent site, the group is automatically gonna be available in all the sub sites. Maybe it's something you want. Maybe it's want. If you create a turn store manage meta data column in your site collection, if you create content types, if you create site columns, if you activate features or deactivate them, it's going to apply to all of the site collections. You do have to be careful with this. The limit is three. Definitely check and make sure you don't hit those as much as possible. Check out files. We talked about this, right? Checkout files I'm not a big fan of, to be honest. I understand the value. I understand the concept. But what if somebody leaves? I had this thing. I work as a consultant for... You're gonna think we have a problem here in Quebec, but the government handles all of our booze here. All of our alcohol. We can't just go to Costco and get it. We've gotta go ask the government's permission, basically. No, what do you mean we drink too much? No. No such thing. Basically, I worked over there as a consultant. What happened was, some fields were due on a specific date. So I forget exactly what were the details, but we were working on a project, and somebody had to give the files by Friday. Then that person was leaving on another contract, and whatnot. On Friday, what did they do? They went to the document library. They uploaded all of their files in there, and then what happened? The next week, on Monday, that person was no longer there and we had no idea what was going on. Where were the files? Why didn't you upload them? The person, of course, that we contacted in emergency was, like, "No, no. I uploaded them. They are in the document library." So we go back. We check. back to the library. What happened is that there was a required column in that document library. Therefore, when that user dragged and dropped all of the files in the library, they all were checked out immediately to that user. But since there were no checked in versions ever of these documents, because of the required column, this meant that nobody could see these files. So how do you find out when things are checked out like this? How do you solve these problems? How can you make sure they are checked back in? Again, we're doing it right now. We're building a report. In fact, see if it's done... The checkout document is in Spanish. I'm gonna select all of them. I'm gonna export that in Excel, checked out documents right here. I'm gonna close that file. I'm gonna go back into Power BI. I'm gonna edit my query. By now I think you guys are pretty comfortable, right? What I'm gonna do is, I'm gonna add yet another source, right? Ideally, you're doing this in all one group location that you don't have to use just Excel. You can put them in a document library in SharePoint so that you can schedule the refresh type of thing. I'm gonna click on Edit. I can see that I have all of my checked out documents. I'm gonna make sure that the first rule is used as headers, because right now the columns aren't the column names. I'm gonna do that. There we go. I'm pretty good with all of this information. I'm gonna click Close and Apply. Now, what's gonna happen is, once again, the relationship is automatically gonna be done. Well, sometimes it isn't, apparently. Do I not have the site... Oh, did I forget to add the site collection address in my report? That would be pretty newbie of me. Yes. I don't have... I'm sorry, folks. Let's go back here. I forgot to add the site collection address. If only I was reading the chat. I'm sure everybody called it. Unfortunately, I'm gonna have to run this report again. But that's fine. We'll click on Run, and we'll get the same... Wow, okay. There it is. That was quick, because we're using the cache. Okay. let me cancel what I'm doing with Power BI here. Go back here and edit my queries to remove my data that we recently added. Remove that. There we go. I'm gonna make sure that, back in Sharegate, I export this again, now that I do have the site collection address, which is very important for this report to work with the rest of the Power BI dashboard that we've been doing. So I'm gonna add the new source again. I'm gonna go back and get it, checked out documents, but this time I am gonna have the site collection address. Collect. Click on Okay. Use the first row as headers, and we make sure that we have the site collection address perfect, close and apply, and of course, this time, we're gonna see that the relationships have been automatically done for me. Okay. It doesn't matter. We'll do site collection with site address. Where is it? Perfect. So I'm gonna go back, right here. I'm gonna take my set from data three over here, and I'm gonna take the file names into a list right over here. So I can see that right now nothing is filtered, and I want the checked out two column, right. This is all done with this, right? You have that information. We pulled it out. You can link it back, and now you can create things like this, that you can present your entire organization in a SharePoint page without necessarily them having to use Sharegate on their computer. So now you can really see which... There's two checked out documents, and they are checked out to Alice [SP] in this site collection, that has a 1.38. We have all of the information that we need over here, so we can really... I forget which other document, site, has the checked out document. I should definitely add that in the fields here. What we can do is we can always add the location, or the site collection address, and it'll help me figure that out. Right? Well, it doesn't matter, really. We need to continue. The partner portals. So if I click on the partner portal here, we'll see that one document. So I'm gonna continue on, because I did not expect time to fly by so quickly. But you get the idea. We have documents with anonymous access. So I can take that, export to Excel once again, and I would also, next to it over here, I would see, for every site that I select, I would see the number of documents, or which documents, have been shared with an anonymous claim. So there's a lot of value there that we have. Let's continue on and blast through a little bit what else we can do. Of course, you can use the reports to basically find whatever you want, wherever it's being used. You can select documents that are using specific content types, sites, library, workflows, fields that are larger than an X, whatever it is. When you create your own report, right, and you click on Reporting here, and you click on New Report, you have the ability to really search for anything you want. Whenever you look for something, the list of filters is gonna be different. If you're looking for a document, the filters that we're gonna have are very different. Those are anonymous guest link, right? Is it in a list that has versioning... The base type of the list is a document library, and the library has versioning turned off. These lists are in sites that have, I don't know, a certain feature. That has a certain feature, whatever... Publishing infrastructure, that has been enabled or disabled. So you can really go and tailor that to your needs base don your governance policies, or whatever you put into place. Export that, and then really create powerful reports that you could present to your site owners on a monthly basis, on a daily basis, have them interact with the information without having to ask you, right? How often do they have to come and ask you for more info? How often do they have to come and ask you for, hey, who has access to my sites? Are there any checked out documents? You provide a self service environment for them. You make sure that you run this report frequently, and then they can go and self serve themselves in your SharePoint portal, in your Power BI portal, wherever you decide, and however you decide to present that information to them. Of course, you also want to know who has access to what, right? You want, also... Sorry. This is who changed access to what. Readable audit reports. In Sharegate, you have something that we call audit. I mean, it's not what we call. It's what everybody calls it. There's an audit report. Basically, what we do is we allow you to activate the SharePoint auditing. So we're not reinventing the wheel here. We are leveraging the existing SharePoint auditing features. However, the difference here is that we're going to go read it for you. We're gonna make sure that you can understand, because, wow, have you ever looked at those audit reports? But what you can do here, you can say, "I want an audit report on this environment." My Office 365 environment I'm gonna click on Next. Then it's gonna ask me, what is it that you want to see? You have filters for everyone or a specific user for any time, or a specific time that you've set. Of course, you have to have enabled auditing beforehand. It does depend on the SharePoint auditing. Now, you'll notice that there's one that allows you to audit who has viewed documents. Microsoft has not made that available for Office 365 users, and right now I'm auditing all 365. If you have SharePoint On-Premises, you will have the ability to audit your content. In this case, this is... I really strongly recommend you do this, especially on a weekly basis, if ever possible, is to check for all of the security changes. Who had been changing permissions? You shouldn't have that many people changing permissions in your SharePoint, and if there has been a change in permission, is it normal? Do you want to be able to report on that? Do you want to be able to export that into Excel, provide that to whoever has the ownership of that location, site collection admin, the rest of IT, and provide them with a daily report or a weekly report to be able to see, hey, does this make sense? Let's click on Run. We can see, in the last week, what has been done in this environment. So if you're gonna look through all this SharePoint auditing, it's gonna make sure that it's in a readable format, that you can see, read, understand, export to Excel. If you desire to link back with the other reports that we have been creating, imagine clicking on a document in the reports in Power BI and automatically seeing all of the details. So maybe I want to export all of that to Excel, provide the filters, provide the dashboards required, and then allow somebody to... The person that can understand the meaning of this information, that can understand whether it makes sense that Alex Darrow did this or not, right? So this is the auditing that makes sense. Added user in guest reader, added Alex Darrow to site administrator... Wow, site collection administrator. Does that make sense, right? Then you can filter by event and present different reports based on the event type that you see to the right people in the organization. Once again, that can be you. Generally speaking, what I do is I create all these dashboards with Power BI. I can't show them to you, because it has to do much of our own environment information. But we use it on a daily basis, on a weekly basis, to make sure that the right people have done the right things, basically. So the site owners of all of our groups and site collections get this report, but they don't get it in their email. They can go and check it themselves. They can setup an alert. They can setup a Microsoft workflow to contact them. They can do whatever they want to go and check that report. They don't have to go and contact me to generate the report. That's the beauty of it. I just go update a central coalition, and then the Power BI just refreshes the queries to get that information. Again, you could do that with Excel, without Power BI, but the reports aren't going to be the same, and they are most importantly not gonna be available on people's devices, which is a request that I get quite often. So to continue on, the other thing that I get in terms of permissions is who has access to what. I see the time flying by, so I am gonna do, basically, the rest. I want to talk about... I'm gonna go over slides. Then we're gonna do everything in demo. It's important to go over all of that information content. All of the slides will be available, and of course a recording of this will be made available as well. So one thing you want to know is, who has access to what? What Sharegate does is provide a very, again, easy to understand view. It's an Excel table, once again, that shows you who has access to what. I'm gonna do that right now, in fact. You can use the explorer. The explorer allows you to really navigate your environment, whether it's OneDrive for business, Office 365 groups or just your SharePoint online sites. Then you will be able to click on things like MVP demos, and you will have a security tab, as well as a general tab, that gives you many more information on your environment. The security tab will provide tons of information. Who has access, who has permissions, what are the settings. You can click on Home, and you will have the same thing. I can see that this site collection has an external user by clicking on the security tab right here. I can see the general properties right... Without having to create a report. When I'm just looking for more information to give it to someone while I'm on the phone for support, whatever the case, I can quickly get that info without having to go into seven sites and try to pull that information into one. Of course, we also have some actions here that allow you to do quite a bit of things. A lot of the times where I use the add permissions to go across all of my one drive for business, and add in a new user... Right? I will select all my one drive for business here, and I'm gonna click on app permissions. There's a new user in the IT administration. I think his name was, I think, Zack. Let me see if we have one. Oh, no. Actually, it's Garth. I know we have a Garth. I'm gonna take Garth, he's the new guy in IT. And I want to make sure that he's not a member of an existing groups on all the one drive for business, but has explicit permissions, which is a side collection administrator. I want to make Garth admin of all one drive for business, because he is dedicated to supporting people's end drive for business when they call. So I'm gonna click on Apply, and I just changed the permissions so that all of my one drive for business have now an admin that is Garth. Now, of course, all of this change is going to appear now in my audit report, because it's a change in permissions. I will see that being reflected in my auditing report. As part of our capabilities here in the security tab, both to add, remove, copy permissions... Now, the copy permissions I use quite often. When somebody changes a department, goes from one place to the other, and I want to make sure they have the right access to everything, I'm gonna click on copy user permission, and I'm gonna save myself a lot of trouble by giving them the same access that somebody else in that team has, right? We have a check permissions, because sometimes I get called by, you know... "Hey, John, we're not sure what he has access to. Can you tell me what he has access to in our team site?" We can do that with the check permissions, right? Then, of course, for permission, and who has access to what, you will have the permission matrix report and the external sharing report. The external sharing report is gonna show you what are the content that has been shared outside of your organization with anonymous links, with external users, and it's gonna pull a report with everything for the destinations that you have selected that have been shared with people outside of your organization. So that is completely up to you. The permissions matrix report runs and provides a well presented view of who has access to what. So I have my site collection, I have all the groups, all the users, and what permission level they have access to. You can export that information to Excel, and then you can again create the reports you want for it. But usually I just deliver that. For example, after I migrated a site, I also provide the permissions matrix report to the site owner. Sometimes I just provide that permissions matrix report every couple of months so that they know, the site owners, I mean, they know who has access to what. Kind of like a checkup, if you want. If you can do it on a monthly basis, I encourage you to do so, of course. As you go down, if you expand this, right, the site, it will also show you a list of libraries and sub sites. Whenever you start expanding on this, you will also see that Sharegate explores. So if I take home here and I click on Permission Matrix Report and expand on that, because I know there's lots of sub sites, right, I'm gonna have all of that information. But I'm also going to see a specific document. So this document has custom permissions. There's the broken key here. I can see this document. When you export that into Excel, the whole thing is going to be separated so you can present that with the right people in your organization, once again. I love the permissions matrix report. It's one of our most popular tools and most adopted features in Sharegate. Let's continue on. All right. So how does your content look like from outside your organization? You have external users. You have anonymous guest links now, right? How does it look like? If people have shared content outside of your organization, did they forget about it? Right? Do these people still need to have access to it? What we do is we provide that monthly report. Once again, right, who has access to content inside of your information from outside, and you provide that report to, once again, the library owners, the document owners, or the site owners, and they can figure out whether or not that makes sense still, or whether they should lock it back down. This also helps you, if people have gone outside of the policies and started doing things outside of your SharePoint governance plan, and put the files... And shared them outside of the organization in the sites that are not supposed to, right? Another thing is that the share button in SharePoint helps people click on Share and share documents or fields with people very easily. So what happen sis, people can easily start sharing things with individual users instead of groups. That's a big problem. It hurts the performance of SharePoint. Of course, this helps with the management and the headache. If you start giving access to Jonathan in different documents, and then Jonathan leaves the company, right, and then Stephanie comes and replaces Jonathan, how do we know what Jonathan had access to? OF course you have Sharegate, so you can figure it out. But still. You don't want to start granting access to individual users. So this, you can check, who has done this? This is a report that allows you to see what has been shared with individual users explicitly, so you can mitigate that, contact the people that have done this and ask them to modify it, or modify it for them. The explorer, I explained a little bit, allows you to drill all the way down to the content types in the list and libraries. It gives you the details, as well as the security tab, so you can do some actions right from here. It's really fun to explore what you have, and take some... Just quick details and some quick actions right from there. Of course, that brings us to the take action part of our Sharegate tool. Man, I can't believe I couldn't fit everything in an hour. There's so much you can do, and on top of that, Sharegate is a huge enterprise class tool in migration. We have over, what is it now, 13,000 organizations using Sharegate for migrations. But there's so much you can do more. It's unlimited gigs, unlimited servers, and now you can export these reports. Put them into Power BI, for example, and allow the entire organization to benefit from the information that you can bring out. There's also actions. I didn't show you that all of these reports, they allow you to do some editing, right? We talked about permissions management. When new employees arrive, when they change roles, when they leave, when you need to validate access, when you need to add a user or group all of this, but also to both activate or deactivate features. With Sharegate, you can select all of your sites based on the criteria, and activate a feature in both or deactivate feature, right? So if you added a new custom feature by your develops that does something, like add a new chart graph on pages, you want to make sure that you activate that everywhere. Sharegate can do that for you, also deactivate it for you, and you can save that report based on criteria. So you can run it again and again. So every report that we've done today, not only can you export them to Excel, as we've seen, but you can also edit the results right from there. We take the results that came out, we separate them into objects, and then you can take them, and you can say, I want to change. I want to activate something. I want to manage the site features of those 77 sub sites that I found. I'm gonna list all of the features available on those sites, and I'm gonna select one of them, and I'm gonna deactivate it in bulk across the board. Right? I'm not gonna wait for it to load. Definitely take my word for it on this one. Let's continue here. Then we've got the cleanup. I think I've got one minute left. I do apologize for that. Thank you, again, for your time, if you have to go. I understand. It is all recorded. I've got a minute or two left. So here we've got the cleanup. Once you've got the reports, once you've taken action, you've added permissions, you've done the reports, you've edited the features, you've done whatever you want, there are things that could grow stale in your environment. Sharegate provides the ability to find site collections, site lists, libraries, documents than are older than X amount of time, that haven't been modified in that amount of time. So it really allows you to get that information and contact, again, the person in charge, or you, and make a decisions. If we have team sites that follow a certain guideline, that fall into our information architecture of X, Y, Z, and we said that, after a year, they are supposed to be deleted, how are we going to find this information out? So Sharegate provides this information for you, and then allows you even to delete and remove these completely from your environment right from the Sharegate application. Of course, we also have this thing called orphaned users in SharePoint. What is an orphaned user? It's when a user still exists in SharePoint. You added them in. It created files or data to reference, and then two column, for example. They are just somewhere in SharePoint, but they no longer exist in active director. So they cannot have just orphaned users. People don't realize how many of them they have in their SharePoint. Again, that's what you call them, that's thing that you don't want to keep that can provide, cause, more problems, right? So this allows you to... We have a way to find them, and we also have a way to remove them directly from Sharegate's interface. Right from the explorer, you can click on Clean Orphaned User. I'm gonna have it right here. So these are all the features from earlier. You select one, like minimal balance strategy. You want to make sure that that's deactivated. You select it and apply. I'm not scared. I know Sharegate is awesome. It's gonna go through all my sites, and it's gonna disable the minimal download strategy feature right from here. Apparently, I've already done this before, right? So in the explorer, whenever you see something, you select a site collection, you have to clean orphan users. You also have to clean limited access. To clean orphaned users, I just explained. The clean limited access is essentially a permission that SharePoint automatically grants people to be able to pass through below an object. So if I have access to a document that is inside a library that is inside a site, I need to be able to go through the site and go through the library to be able to get to that document. So that SharePoint does is automatically grants you limited access. That doesn't actually give you any access, but allows you to pass through. The thing is, if you get removed from that document's permission, it doesn't remove the limited access that were there. So we have, again, a way to eliminate or clean all of those limited access. It's not harmful to leave them there. It's just that it becomes really hard to manage your permissions when you go to library settings, permissions management, and there's 27, 3000 limited access from years ago that you just can't see your management of permissions anymore. So we've talked about anonymous users, and anything that has been shared externally that you may have forgotten to remove. People forget. They share externally, and they just leave it there forever. Especially in one drive per business, you want to take particular care, a particular look for that, because people have a tendency to share things outside. But don't go back to remove. Thankfully, Microsoft has added a set expiration that allows users to a automatically stop sharing after a certain amount of time. But it doesn't guarantee that our users are gonna use that, right? Limited access I just explained. Essentially, if you have objects and you break inheritance at some level, then, of course, if you add users below, they automatically get added to the limited access above. So we just took a look at that. Is it safe to clean or remove them? Of course it is. You just need to know what you're doing, and thankfully Sharegate helps you with that as well. Wow. We have so much that we can do. The recognized part is basically, it comes down to one thing. You have the bulk editing that allows you to stay within the list, that allows you to stay within a document library and modify things, right? It happened to me very recently. I have a document library has a column, a hyperlink, to a picture, basically. So I have a list of products, and then I have a column that links to a picture of that product. What happened at some point is that we needed to move those pictures to a new location, a new library. Basically, there was some kind of change. I wanted to go to that list that had those links to the picture, and I wanted to edit the link very easily. So the bulk edit feature actually allowed me to do this in my own day to day. But it also allows you, when the library grows so big that, at some point, you realize that maybe you need to identify different data with different content types within your library. But you didn't start out this way. The bulk editing allows you to do that. Basically, it's like the edit in SharePoint, or the quick edit, but allows you to do that with any property. Not just some in read only. Everything. Even the page layout. Even the content type assigned, the manage meta data column. Everything. So very practical. Saved my life. Quite a bit of time. Basically, it's like using migration features without moving any of the files anywhere. It allows you to use even the export and import feature for that. Another thing that comes up often is the need to take a site that has grown so big that you need to turn it into a new site collection. So, generally speaking, I'm gonna find out when my inventory reports. I'm gonna see that certain sites are growing way too big for being a sub site, and I'm gonna have to mange them independent, whether it's... Or database backups, if it's On-Premises, or to better manage external users and other features when I'm on Office 365. So with Sharegate, remember, Sharegate is unlimited gigs. So even after the migration, you can use it to move things within your environment, within your Office 365, within your On-Premises environment. So this allows you to take a site, and then promote it into a brand new site collection, and start from there in a whole different branch of your farm. So this is my last slide. Don't worry, right? Before last slide. Basically, don't abandon your migration features. Because you finished a migration that, on top of the reports and everything you can do there, that you can use Sharegate to do things like test, move to QA [SP] and move to production. We also have partial scripting for everything in our migration PowerShell module that allows you to automate and script certain things. It also allows you to template things. So if I have a workflow, whenever somebody asks for this, this, this in a form, you can have a Power BI and use our Sharegate to copy a template you created with all the settings, with all the right values, and use that basically as a site provisioning tool, if you like. Sharegate allows you to copy with workflows. The only recommended partner to using name tags, copy your name tags workflows, name tags forms, Nintex forms, SharePoint designer workflows and so much more. Of course, I put the user emergency section, where people call you and say, "Oh my God, I needed this for yesterday. I need to take this site and I need to copy it seven times with the content, with the workflows, with the properties, and this needs to be done by tomorrow morning, because I'm screwed." You're gonna be able to do that with Sharegate again, because it's not just migration between versions of SharePoint. It transforms into copying within your environment. So quickly, monthly action plan. if you want to start using Sharegate daily and monthly, of course. Run the inventory reports and do these beautiful reports that are centralized, that are scheduled, refreshed, and everything that we've talked about. Put them as by site owners, so that each site owner can see what they've done. Put it at by site collection as well, so each site collection, you can see what's going on inside of it. You want your audit reports to look at, has there been especially any permission changes, and do they make sense? Clean limited access frequently so you have a clean environment. Look at these permission reports, the PMR, the permissions matrix report. Who has access to what, and provide them with those site collection reports, or by owner, if you want. Put that especially after the migration so that everybody knows where they start with and where they begin. 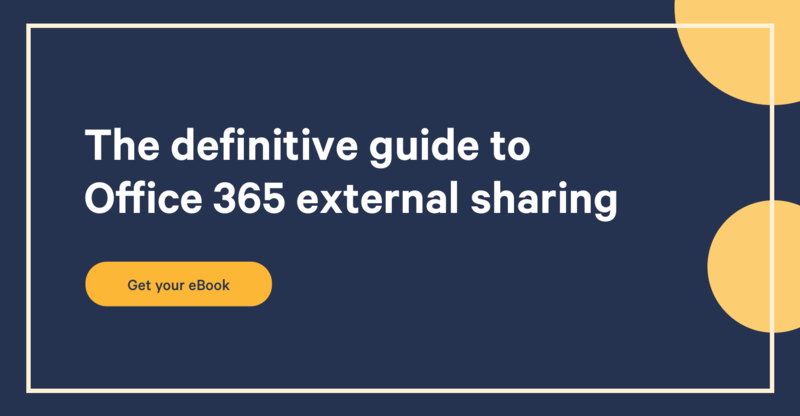 External sharing reports are gonna be crucial for you to monitor... I would say even on a daily basis, if you can, just to see what's been shared especially anonymously. If that link goes in the wrong email, anyone can access your content without having to log in. Microsoft did a lot to add more restrictions there, but still you never know what users can do. Clean up stale content, right? Especially in Office 365, you pay for a gig, and in On-Premises, that still costs money, that storage. But of course, it's all of the things that stay that you don't need to stay there. So clean up any stale content frequently. Reorganize sites that are growing too large. Basically, everything that I've shown you in this presentation. I highly recommend you do this on, at the very least, a monthly basis. There's a ton, and a ton, of power with Sharegate. Often we just don't know it's there. I'm gonna stick around for questions. I thank you immensely. I hope you learn some of the traits. Don't hesitate to reach to to us if you want to schedule something, if you want to learn more. If you go into our Sharegate website, right... Let me go check it out very quickly. If you go into our Sharegate website, you'll notice that we have, under a section called resources, we have something called the video tutorial. Not that I don't want you to contact support. Support is unlimited at any time. They are awesome. But there is a section called Video Tutorials. I did it for people like me. Personally, I don't like to always contact somebody. I don't want to sit through a video that's two hours long. So these videos, the longest is 12 minutes, 7 minutes, 6 minutes, and they cover specific things of Sharegate. We are putting them and updating them frequently so that they match the new environment. We're gonna update them very soon as well. So you can learn more about all of these features. If you haven't tried out Sharegate yet, it's a free trial. Check it out. Contact us. Whatever we can do to help, let us know. That's why we're here. Again, I thank you immensely. We'll stick around for questions.